In spite of the price increase for natural gas and changes with procurement prices of wood chips over the course of the past year, this year’s heating season commenced without major changes when compared to last year, as reported by Public Utilities Commission. The regulator notes that compared to September 2017 tariffs of most regulated service providers remained the same in September. Increase of tariffs has been noticed only for a small portion of tariffs. Part of tariffs experienced a decline. This means this year’s heating season is expected to begin without major changes. «Heating companies that did not approve new tariffs have been applied with tariff approval for previous tariffs. If businesses do not use permission to establish heating tariffs on their own, they apply the regulator’s approved tariff in accordance with the last published natural gas trade prices,» PUC continues. This means tariffs have not changed in comparison to September 2017. 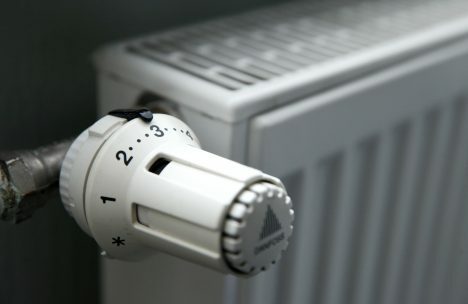 Until the regulator receives new applications and new tariffs are approved, heating companies commence the heating season with unchanged tariffs. «Heating companies that have submitted new tariffs to the regulator detailing increased gas costs, increased heating energy or wood chip costs, or ones whose mandatory procurement support has ended will begin the heating season with increased tariffs. Compared to the total number of supervised companies, this is an insignificant number,» PUC explains.